We are proud to offer comprehensive breast services at our ACR accredited facility—part of the first accredited breast center in the county. Thousand Oaks Radiology joins a select few in the nation designated by the ACR (American College of Radiology) as a Breast Imaging Center of Excellence (BICOE). 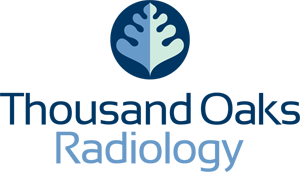 We provide the highest standard of imaging services in a caring, comfortable environment. For the past several years, Thousand Oaks Radiology has been the proud Flagship sponsor for the American Cancer Society’s annual Breast Cancer Awareness event, “Making Strides.” Additionally, during the month of October, which is Breast Cancer Awareness month, we also hold a half day event to provide mammograms to the community at a significantly reduced cost. We are committed to providing the most up to date technology and research in this area. What is the difference between Digital Mammography and 3D Mammography? For more information on 3D Mammography, see 3D Mammography – Digital Tomosynthesis. For more information on Digital Mammography, see Digital Mamography. 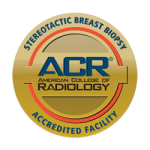 Stereotactic breast biopsy uses mammography, (breast imaging) to help locate a breast lump or abnormality and remove a tissue sample for examination under a microscope. It’s less invasive than surgical biopsy, leaves little to no scarring and can be an excellent way to evaluate calcium deposits or tiny masses that are not visible on ultrasound. A breast biopsy is performed to remove some cells from a suspicious area in the breast where a lump or abnormality has been detected. These cells are evaluated under a microscope to determine a diagnosis. This can be performed by a radiologist using a less invasive procedure that involves a hollow needle and image-guidance. In stereotactic breast biopsy, a digital mammography machine uses x-rays to help guide the radiologist’s biopsy equipment to the site of the abnormal growth. For more information on Stereotactic Breast Biopsy, see Stereotactic Breast Biopsy. For more information on Ultrasound of the Breast, see Ultrasound of the Breast. Lumps or abnormalities in the breast are often detected by mammography, physical examination or other imaging studies. However, it is not always possible to tell from these imaging tests whether a growth is benign or cancerous. For more information on Ultrasound-Guided Breast Biopsy, see Ultrasound-Guided Breast Biopsy.